If you’re having a party, wedding or event in West Sussex and you’re looking for a way to entertain your guests, a fun casino could be exactly the thing you need to ensure the night goes with a bang! Harlequin Fun Casino are based in Copthorne, West Sussex, so we’re very familiar with the whole of the Sussex area. We host fun casino nights all over West Sussex and at some of the most incredible venues in areas such as Crawley, Three Bridges, Burgess Hill, Gatwick, Haywards Heath, Horsham, Worthing, East Grinstead, Arundel, Amberley, Christ’s Hospital, Billingshurst, Pulborough, Worthing, Chichester and many more. 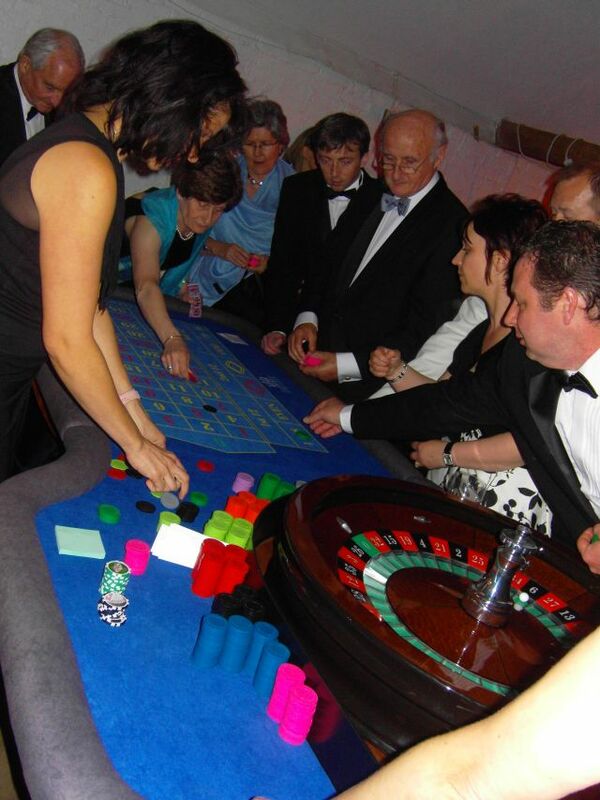 Whether you’re organising a Christmas Party, a birthday party, a wedding reception, a corporate event or something completely unique, we’re the most reliable, professional and friendly team of casino experts for the job! A fun casino party is a sure fire way to get the party started with a bang, and it’s impossible not to have a great time when you hire a fun casino for an event! We only play for fun, so there’s no fear of losing any hard earned cash, and it’s a great way to learn to play the games in a risk free environment. It’s great to travel the country doing what we do best, but there’s nothing quite like working in your home county in the places you know best! Full size, luxury casino tables, immaculately presented and as fresh as the day they were made. Our bespoke tables are the real deal with sturdy Mahogany legs as standard. We never compromise on quality and you can be sure the casino tables will impress even the most cynical of guests. A friendly and professional croupier to deal at each of the tables for up to three hours. Fun money which we will distribute amongst your guests before we begin play. All our costs are included in our fees, including travel costs, set-up and de-rigging. There are no hidden extras anywhere, so the price we quote you is all inclusive and there is no VAT to pay. Email us using the enquiry box at the foot of this page and we’ll get back to you within the hour with a full quote with no obligation to book. Harlequin Fun Casino Hire offers a polished, professional service at a very competitive price. We are incredibly proud of both our product and our service, and we’re here to ensure everything runs smoothly so you don’t have to worry about a thing. If you’re in need of a fun casino and you’re holding your event in or around West Sussex, you’re in very safe hands with Harlequin! We’ll make sure you and your guests have a fantastic time at the casino tables, and ensure the atmosphere remains electric the whole night through!